Among our wide range of products, we are offering a wide range of Brass Statues.Shiva, Ganesh, Lakshmi , Vishnu, Hanuman, Parvati and all the Hindu Gods and Goddesses come to life in our fine Brass Statues. A perfect religious antique imitation and home decoration piece, we manufacture and supply Decorative God Brass Statues. We have all the designing expertise to be the leading manufacturer and exporter in market for Brass God Statues . These statues are designed and crafted in different shapes and designs of gods and goddesses. 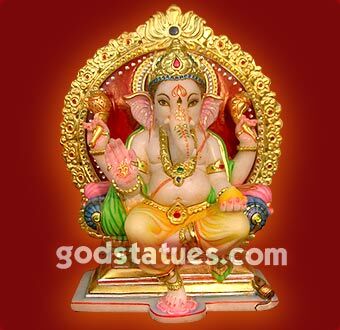 Find exquisite Brass Sculptures showcasing Lord Ganesha, Nataraja, Bodhisattva & other fascinating sculptures only at God Statues, your one stop shop for god statues. 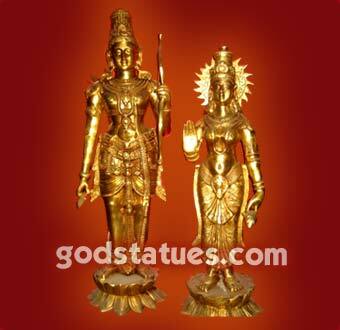 God Statues we are offering a wide range of Brass Statues. Statues and God of Hindu Gods and Goddesses like Ganesh God, Shiva God, Brass God Statue Dealers/Manufacture/Exporter in Delhi/NCR. We, at Smart India, propagate this glory of Indian Handicrafts by manufacturing and Exporter the Brass God Statues and goodness statues.